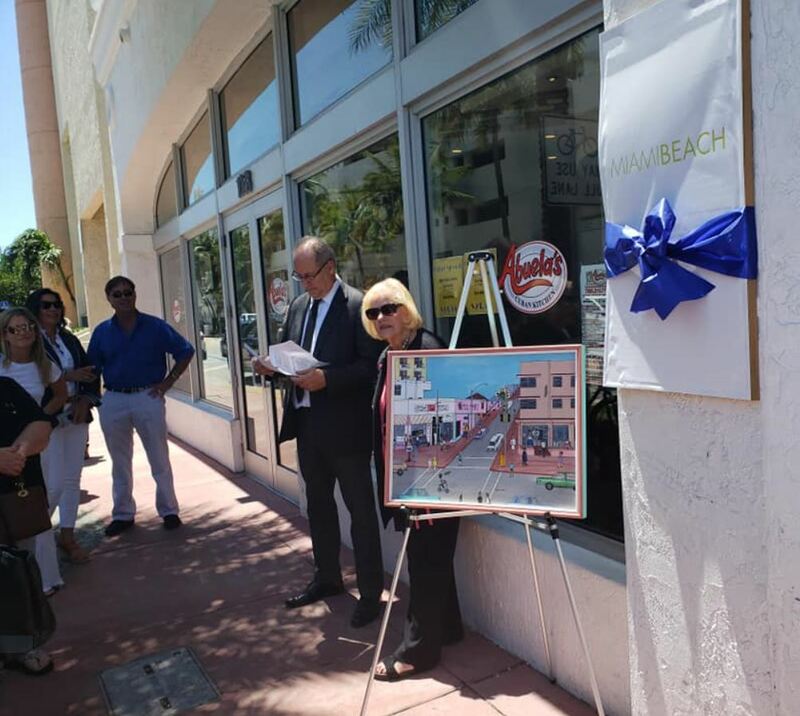 This photo was taken at an event that took place at the original site of the iconic David’s Coffee Shop and Restaurant on 11th Street & Collins Avenue on South Beach. 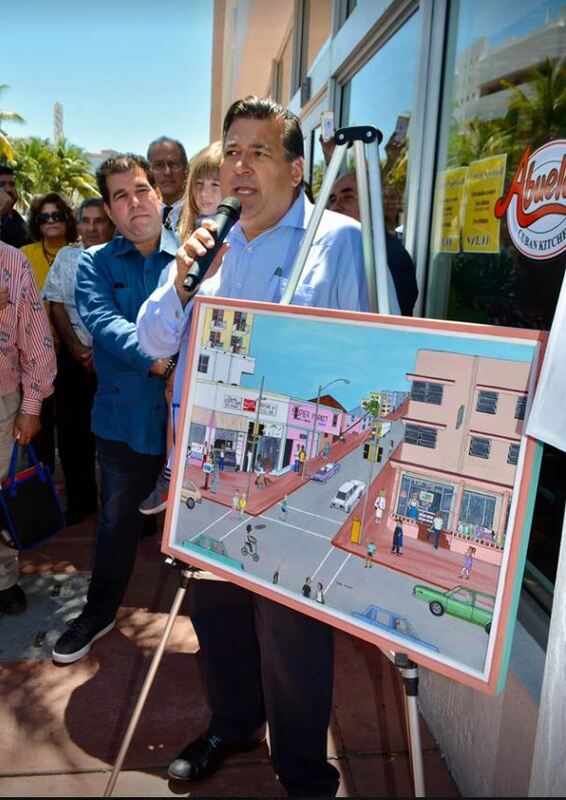 It was a tribute to Alfredo Gonzalez, Sr., owner of several Cuban restaurants in Miami Beach. 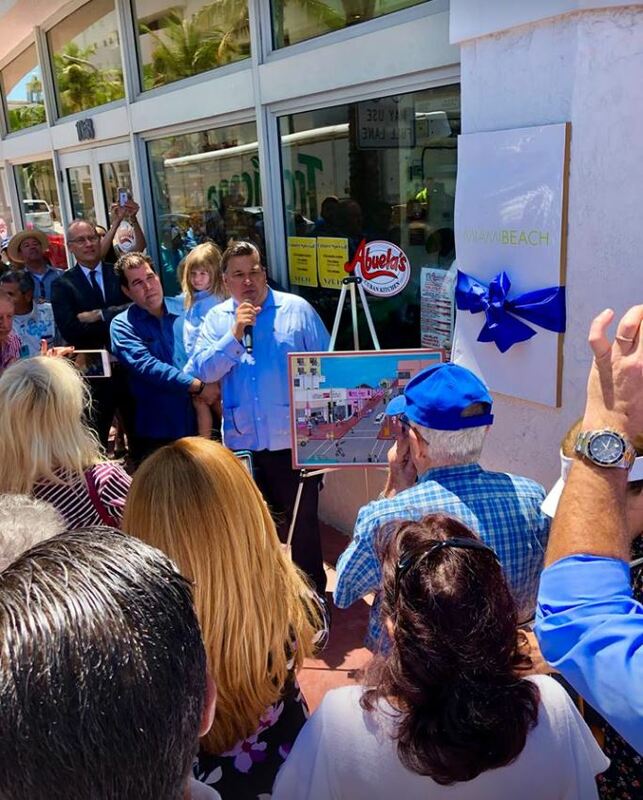 The Honorable Dan Gelber, Mayor of Miami Beach and Miami Beach Commissioner, Joy Malakoff, unveiled a plaque that is now permanently affixed to the building to honor Alfredo Gonzalez Sr. and his contributions to the City. 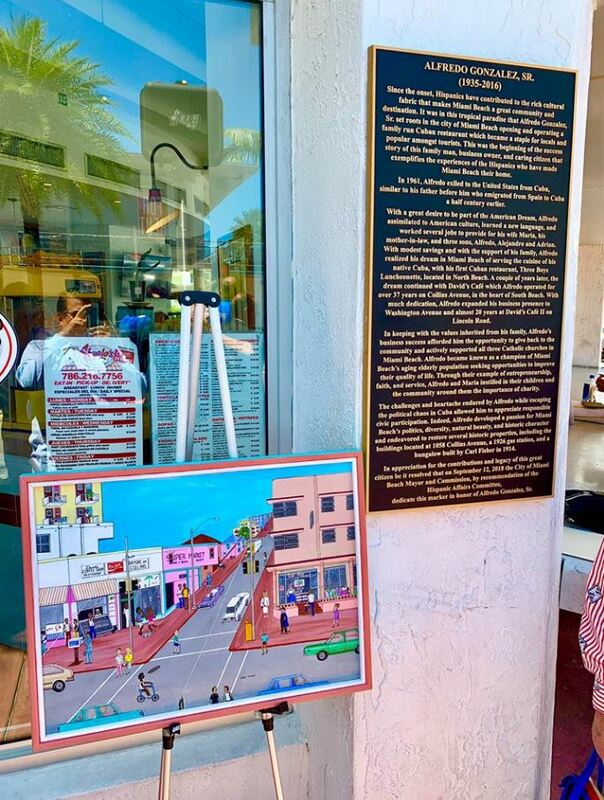 The painting on the easel was painted by artist/author Dena Stewart after she and husband artist Stewart Stewart first came to South Beach. The picture is of David’s Coffee Shop and Cuban Restaurant. It hung in the Mayor’s office at City Hall, when the Honorable Seymour “Sy” Gelber, father of current Mayor Dan Gelber, was Mayor of Miami Beach. 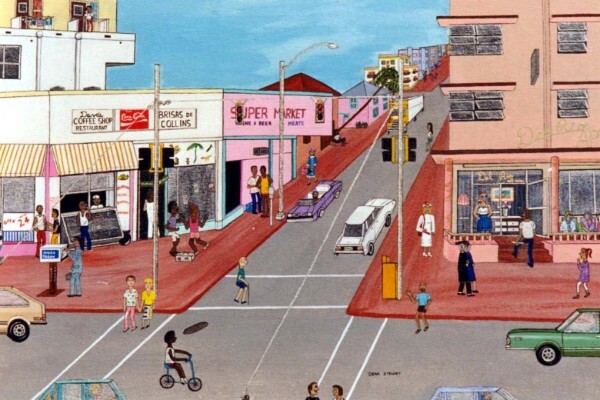 After leaving Office, Alfredo Gonzalez, Jr. purchased the painting.